Oro Grande Lodge is a Keystone luxury condominium complex. Our third floor, 'Gold Rated,' two bedroom, two bath condo has breathtaking views of the ski slope (including two lighted runs for night skiing) and the entire Keystone Valley all the way to the Continental Divide. Located only 500 yards from the ski lifts, you can choose to walk to the lifts at the base of Keystone to save time and money. * Walking distance to ski lifts (250 yards). * Heated indoor pool and hot tub. * Gas BBQ grill on patio. * Exercise room with weight machine, cardio equipment and TV. * Queen bed in master bedroom (sleeps two), single bunkbeds with additional single bed in second bedroom (sleeps three), and pull-out bed in living room (sleeps two). 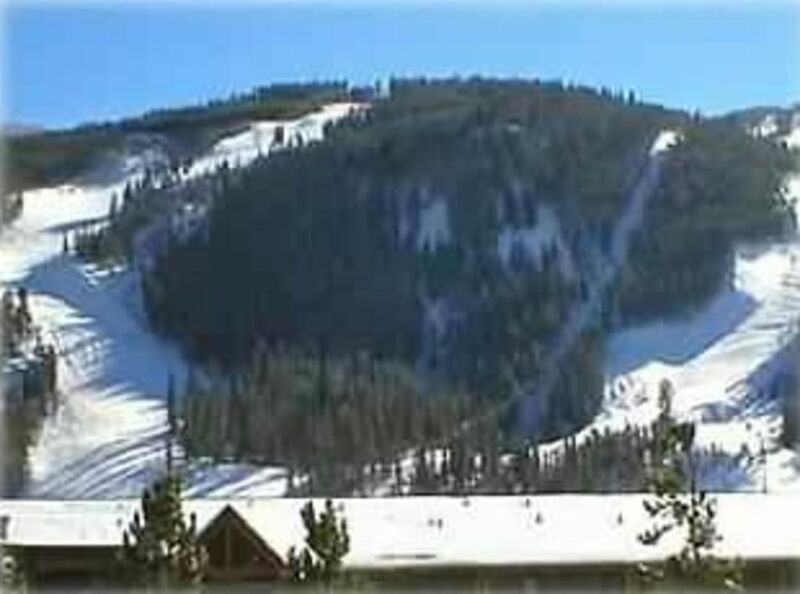 * End unit facing ski slope (south) and Gore Range (west). * Centrally located between Keystone Resort and River Run. * Heated underground parking garage. * Private ski lockers on ground level. * Walking distance to a wide variety of shops, restaurants, and pubs. * Granite countertops and tile floors in kitchen and bathrooms. * Top of the line furnishings and decorations. * No Smoking and No Pets (Owner's Children are very sensitive & allergic). * Close to other ski areas including Breckenridge (20 minutes), A-Basin (seven minutes), Copper Mountain (20 minutes), Loveland (20 minutes) and Vail/Beaver Creek (45 minutes). * Washers, dryers, and vending machines. * Beautifully decorated, large lobby area with a beautiful fireplace, TV and wet bar. This is a four-season vacation destination with quick and easy access to skiing, hiking, fishing, biking, golf, tennis, horseback riding, snowmobile riding, shopping, and much, much more! Feb 2019 Reviewer is very accurate with their lengthy review. It was a great value for the price. Overall I believe this condo is a good value for the cost. It was one of the least expensive rentals available, and I think it is probably priced fairly. You can walk to the slopes, and we did, but it's pretty far when you're carrying skis. The condo layout was ok, with the kitchen & bathrooms fairly well updated. The water pressure was great & the water got good & hot for showers. The ice maker in the refrigerator/freezer doesn't work, and the cold water in the sink/lavatories was luke warm, so I suggest getting bottled water that can be refrigerated for drinking. The room with the twin + twin bunk beds was really cramped with almost nowhere to put anything. The closet was half full of the owner's stuff & there was only one bedside table with 2 small drawers. There wasn't anywhere to put our (empty, or full-if living out of) suitcases in this room either, so we ended up living out of one suitcase in the den & stuff crammed under the beds. There were lots of items left from previous renters (spices, condiments, liquor, non-perishable food, cleaning supplies, etc. ), which was good in some respects because we didn't have to buy much of those things, but annoying in others because there was nowhere to put our stuff. The bathroom cabinets & foyer closet were also pretty full. The towels were very small & worn out, but there were enough of them for bathing. There were no towels for the pool/hot tub, so I suggest bringing your own if you plan to swim. The kids enjoyed the pool & we all enjoyed the hot tub when it wasn't too crowded. There were extra pillows in the closet, but not enough pillow cases. The bedspreads were stained in places, and one of the pillowcases had hair on it, not very clean. There were enough dishes & cooking items for 4 of us, and the kitchen was laid out well. The front door was very hard to open & the keys didn't always work. The sofa is pretty worn out. We liked the interior entry, with elevator & single-level condo space. The hallway was extremely hot & we didn't run the heat the entire time because of how much heat came in from the hallway. The heated garage was nice, but one night after dinner there were no available spaces. The view was great & I feel like we got what we paid for. If your expectations are in line with the price you won't be disappointed, but there were definitely some issues/sacrifices, with the full closets and cabinets being one issue that could be fairly easily remedied. Clean, comfortable, simple. Great location. The condo had everything we needed for our young family of 4. It’s nothing fancy, but was very clean and comfortable with plenty of extra pillows, linens and blankets and the kitchen was very well appointed. Loved the pool and hot tub after a long day of skiing and the heated parking garage was a great bonus. Great location. Easily walkable to Mountain House. We’d love to stay here again! 2) The thermostat didn’t properly adjust the temperature of the unit. We had it set at 62 the entire time but it was uncomfortably hot. 3) There were stains on the bedsheets/comforters. 4) No soap for dishwashing, even though it was required that we wash our dishes before leaving. 5) No hand soap in bathroom. 6) The lockbox was not well marked for our unit. There was no name or unit # on the outside, so we had to use trial and error to find the right box. 7) Many personal items of the owner left out.